A view of South 16th Street in Point Breeze. The neighborhood had the largest increase in the median assessment of a single-family home between 2018 and 2020 compared with other neighborhoods in the city, according to an Inquirer analysis. Nisenfeld’s property assessment, or the value used to calculate real estate tax bills, increased 14.9 percent this year. It will increase by an additional 9.8 percent next year, according to the 2020 property assessments released this month. As a result, her tax bill will have increased from $1,963, to $2,445 between 2018 and 2020. More than 345,000 residential properties — three-quarters of the total — are getting assessment increases next year, according to the city’s 2020 assigned market values. Citywide, the median assessment of single-family homes will increase by 3.1 percent, according to an Inquirer analysis. Unlike other counties in the state, Philadelphia is not required to change tax rates when assessments increase to make the changes revenue-neutral. That means every increase is a tax hike; the city estimates it will receive an additional $53 million in property tax revenue as a result of the 2020 revaluations. That amount includes increases in nonresidential properties; other changes include a 6.5 percent increase to the total value of commercial and industrial property assessments, according to OPA, and an 8.1 percent increase for condos. In several neighborhoods, the increases are steep when considering the cumulative impact of the 2019 and 2020 changes. Point Breeze, will have the largest increase over that two-year period; the median assessment increased 54.3 percent from 2018 to 2020, rising from $85,200 to $131,500, The Inquirer found. Last year’s assessment hikes led to an independent audit commissioned by City Council that found the city’s assessment methods are flawed, and Mayor Jim Kenney gave in to Council’s calls for new leadership of OPA and launched a search in February for a new chief assessor. City Council has called for other reforms and increased transparency, including asking OPA to publicly explain its assessment methodology. The Kenney administration, which disagreed with the audit findings, stands by its valuations and hired its own consultant to make recommendations for improvements. City spokesperson Mike Dunn said in an email that the 2020 assessment “resulted in moderate changes." More than 95 percent of residential assessment increases will be less than 10 percent, Dunn said. He encouraged property owners who disagree with their values to file appeals. The 2020 values include decreases for more than 80,000 homeowners, Dunn said. The Inquirer analysis found that the median value will decrease in about a dozen neighborhoods. Hunting Park will have the greatest decrease, at 22.8 percent. 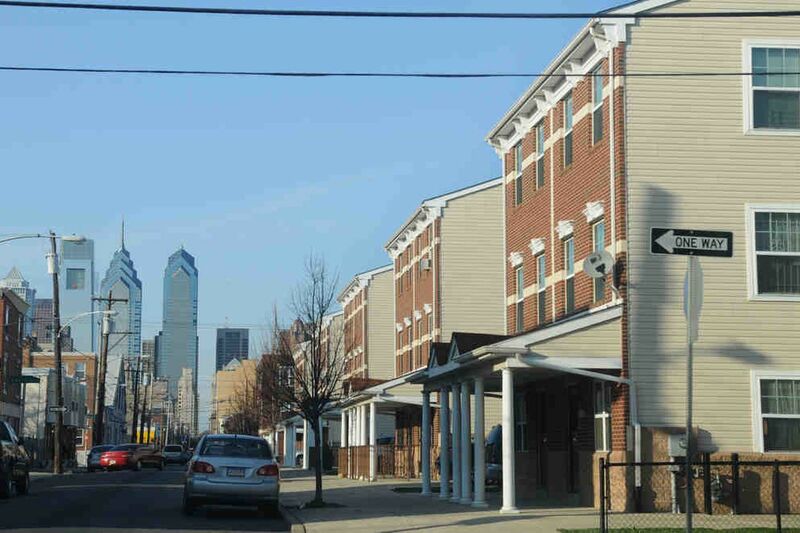 An Inquirer analysis of the 2019 assessments found that Hunting Park was the most-overassessed neighborhood in the city, meaning homeowners may have been paying more than their fair share in taxes. Assessors looked at market trends and applied factors to 16 different residential zones for the 2020 assessments, officials said. That approach was less intensive and time-consuming than a full-scale mass appraisal. OPA announced in January that it was opting for the “trending” methodology to devote more time to other systemic improvements. “Trending helps keep assessments closely tied to the market over limited periods of time,” OPA wrote in an explanation to property owners posted on its website. Even though Sarah Maiellano has a 10-year tax abatement for new construction and pays tax only on her land, she is among the homeowners who received steep increases both of the last two years. Her property tax bill jumped 60 percent to $3,110 this year after her rowhouse on Rodman Street in Center City was reassessed. She appealed and her bill was lowered to $2,724. “I’ve been dealing with this, it feels like, all winter and was feeling like we just finally got it settled,” she said. Sarah Maiellano and her husband, Joe, outside the Rodman Street home they purchased in 2015. But last week, Maiellano checked the city’s online records and learned that her assessment would rise in 2020 to a value even greater than the one she had appealed. Her new bill would be $3,158. Philadelphia overhauled its system in 2014 when it began assessing properties at 100 percent of the market value — or the amount at which a home would sell on the open market. Under the so-called “Actual Value Initiative" (AVI), the city said every property in the city would be reassessed every year. The 2019 hikes in values for homeowners came in part, officials said, because OPA had not reassessed all residential properties in a few years. For residents like Nisenfeld, the process is still confusing. Homeowners with mortgages have tax bills rolled into their monthly payments, and the city’s online property records show assessment numbers but do not indicate how to calculate the corresponding taxes. Nisenfeld said some recent sales in her neighborhood are close to her new assessment — $214,700 — but she was surprised that sales prices have increased that much. And if taxes are increasing, she said, she wishes she received better city services and saw improvements in the schools. At last week’s budget hearing for OPA, Council members grilled assessment officials about upcoming improvements to their department, including the expected 2020 release of a years-delayed computer system known as CAMA that will be used for assessments. Council President Darrell L. Clarke, whose office is working on its own analysis of the 2020 assessments, said he planned to call OPA officials back to testify about the new values at another budget hearing. Chief Assessment Officer Michael Piper said his office will also work to post more information online about its assessment methods; OPA has failed to do so for several years, despite a city law requiring it. Councilwoman Helen Gym said OPA must do more to restore public trust. Staff writer John Duchneskie contributed to this article.